Kimimila, Three Heron, Falti, and Juho have stumbled on to an emergence hole. Shivers pour from the earth to poison the land and bring ruin to the remaining humans on the steppe. Only our heroes can stop this, but they must use every resource at their disposal. Up to and including THE POWER OF DANCE. An investigation turns into a desperate bid for survival as the sun starts to set on our mostly well intentioned heroes. This week James is joined by Kat, Jim Hepplewhite, and Brittany Yantos of Geek Bar, to play Ehdrigohr run by its creator Allen Turner. In a post cataclysmic world where the night is ruled by horrors brave souls from the scattered tribes of humanity must band together to face the dark of night. Hilarity ensues. 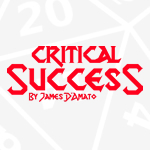 This week James takes on a new listener question: When my players come up with what seems like a reasonable bargain or deal, my antagonists accept, as long as they’re not giving up more than they originally intended to. The greatest play experiences I’ve had came from GMs who created hardline antagonists who would accept nothing less than total acceptance of their demands. Overcoming them gave me a thrill that I want to give my players, but whenever I try to run these guys, my senses of fairness and logic kick in and I accept a reasonable solution. Allen Turner gives us an overview of Fate and Ehdrigor. In twenty minutes you’ll Have all the information you need to play. This week Robo Force head to MIT to see if they can discover the whereabouts of a missing action scientist. Danger awaits them there and possibly other places. Kids, I hope you have your cereal ready because game designer Mike Olsen is about to kick off Fate month by introducing us to his setting for the Atomic Robo rpg: ROBO FORCE! If the much beloved Atomic Robo comic and GI Joe had a beautifully weird baby, this would be it. The Spirit Snatchers finally make it inside Boeing head quarters where they find it is perhaps a little more haunted than they anticipated. Will thier steam based equipment win the day? Or do they not have the ghost of a chance. Plenty of OD&D concepts have fallen out of favor. Most of them died out because they put limitations on play. These days swords and sorcery systems are way less restrictive and f20 games are focused on customization. However, 5th edition D&D opted to keep alignment- which has some gamers scratching their heads.